Our paper, “Consumption-based fixed rates: Harmonizing Water Conservation and Revenue Stability” is receiving the 2016 Management & Leadership Division Award for Best Paper Award from the American Water Works Association (AWWA). The announcement will be made at the 2016 AWWA conference help in Chicago, Illinois on June 19-22. Abstract: Water utilities struggle with the need to promote water conservation while maintaining financial solvency – a common challenge referred to as the “new normal.” However, under typical cost and revenue structures, water utilities experience significant revenue shortfalls when water use lags behind projected customer consumption (either by conservation or other factors). Subsequently, water providers are obligated to raise rates more frequently and/or more dramatically than originally anticipated. This problem arises primarily when the fixed and variable portions of utility costs are not aligned with the fixed and variable portions of revenue. This article presents a new water-pricing mechanism – consumption-based fixed rates – that harmonizes costs and revenues yet still promotes conservation through the innovative inclusion of volumetric fixed charges. As such, consumption-based fixed rates represent a potentially useful solution for water utilities to effectively balance conservation and revenue stability in an equitable and sustainable manner. The State Water Board hosted a Data Innovation Challenge in the Spring of 2016. The focus was on creating apps, visualizations, and other tools that demonstrate the use of data beyond what is currently being done. The CWEE team, led by Computational Data Research Specialist Andrew Holguin, received runner-up in the California Green Gov Challenge for their application CA H2Open. CA H2Open application creates a visualization of how the 400+ California water utilities responded to the Governor’s mandate of 25% statewide water use in urban water suppliers relative to 2013 levels. In addition to displaying a summary of water use relative to the conservation target for each district, the application also calculates the electricity savings associated with the reduced demand on water infrastructure services using estimates of average energy intensity per hydrologic region. One of the significant findings is that the electricity savings associated with the observed achievements in water conservation is roughly equivalent to the total first-year electricity savings estimated for all of the energy IOU efficiency programs implemented in the period from July through September 2015 (the period where data was available for both initiatives). In addition, the water conservation-related GHG savings over the entire period of the mandate (June 2015 through February 2016), represent the equivalent of taking about 50,000 cars off the road for a year. The application and additional background information can be found online at CA H2Open. Abstract: Using data from the water service area of the East Bay Municipal Utility District in Northern California, we develop and discuss a method for assessing, at a high resolution, the energy intensity of water treated and delivered to customers of a major metropolitan water district. This method extends previous efforts by integrating hourly data from supervisory control and data acquisition systems with calculations based on the actual structure of the engineered infrastructure to produce a detailed understanding of energy use in space and time within the territory of a large-scale urban water provider. We found significant variations in the energy intensity of delivered potable water resulting from seasonal and topographic effects. This method enhances our understanding of the energy inputs for potable water systems and can be applied to the entire delivery and postuse water life cycle. A nuanced understanding of water’s energy intensity in an urban setting enables more intelligent, targeted efforts to jointly conserve water and energy resources that take seasonal, distance, and elevation effects into account. Authors: Spang, Edward S.; Miller, Sara; Williams, Matt; Loge, Frank J. A Q&A with Associate Director Spang on CWEE’s research on the energy intensity of harvesting, treating, and distribution of drinking water. CWEE’s pilot study with East Bay Municipal Water District and Pacific Gas and Electric is also highlighted in the same issue. Dr. Spang published two articles based on his PhD dissertation. Abstract: Producing energy resources requires significant quantities of fresh water. As an energy sector changes or expands, the mix of technologies deployed to produce fuels and electricity determines the associated burden on regional water resources. Many reports have identified the water consumption of various energy production technologies. This paper synthesizes and expands upon this previous work by exploring the geographic distribution of water use by national energy portfolios. By defining and calculating an indicator to compare the water consumption of energy production for over 150 countries, we estimate that approximately 52 billion cubic meters of fresh water is consumed annually for global energy production. Further, in consolidating the data, it became clear that both the quality of the data and global reporting standards should be improved to track this important variable at the global scale. By introducing a consistent indicator to empirically assess coupled water–energy systems, it is hoped that this research will provide greater visibility into the magnitude of water use for energy production at the national and global scales. Abstract: Discussion of the environmental implications of worldwide energy demand is currently dominated by the effects of carbon dioxide (CO2) emissions on global climate. 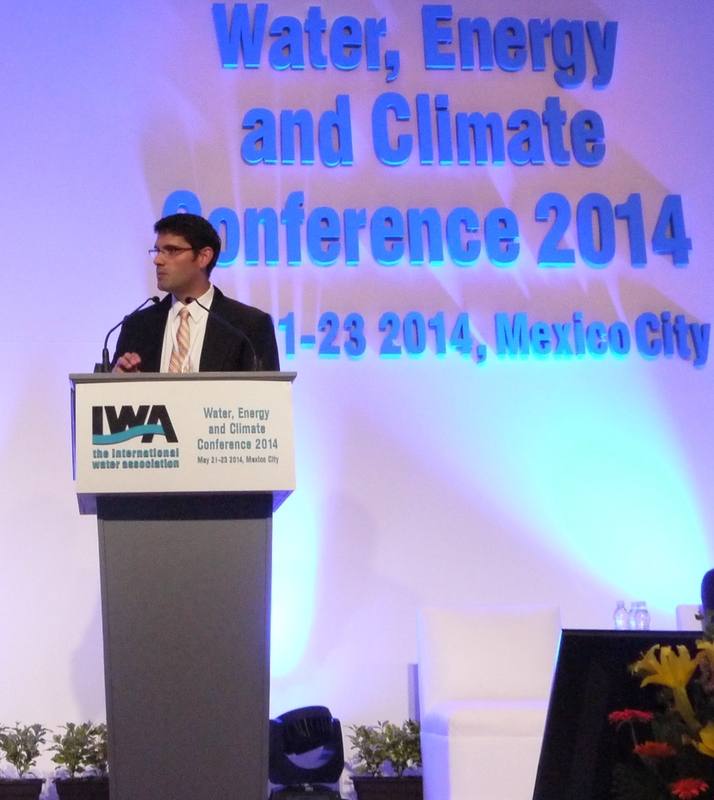 At the regional scale, however, water resource challenges associated with energy systems are a growing concern. This paper, based on an inventory of national energy portfolios, posits an indicator-based framework for characterizing regional energy portfolios’ relative water intensity. These calculations extend upon a previous paper that established a method for calculating the national water consumption of energy production (WCEP) at the global level. Intensity indicators are based on normalizing the WCEP results with a set of additional indicators (including population, gross domestic product, total energy production, and regional water availability). The results show great variability in water consumption across nations, as well as across the various water intensity measures that were applied. Therefore, it is best to apply this full suite of indicators to each country to develop an integrated understanding of the intensity of water use for energy across countries. 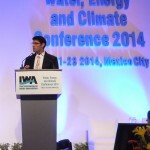 CWEE Associate Director Ned Spang discussed recent CWEE research at an international symposium on water, energy, and climate. This presentation summarized Spang’s research in the East Bay Municipal Utility District’s water delivery system, which captured energy intensity for water delivered over two “cascades”—chains of pump stations that deliver water to homes and businesses rising from 50 to 900 feet in elevation. Treating, conveying and raising water all present energy penalties, but these energy costs are fragmentary and poorly understood. Spang’s work uses existing infrastructure, such as electric bills and pump control data, to create a richer understanding of the energy intensity of water throughout a water system. “These data can provide insight not only into the energy implications of water,” Spang says, “but also provide a nuanced understanding of operational conditions on a working water system.” Dr. Spang’s research group at the University of California is currently exploring how to extract additional value by aligning currently disparate data streams within water utilities, including the development of analytical tools for real-time leak detection, optimization of system pressure, and identifying cost-effective opportunities for joint joint conservation of both water and energy resources.